Notes: The two carbon fibre brushes and central velvet pad work together to collect dust and other contaminants on your vinyl. Anti-static fibres remain straight for deep vinyl groove cleaning. Increases the lifetime of your vinyl and improves your listening experience by reducing surface loss. Notes: These are the same high-quality inner sleeves that MOFI use for their most-prized vinyl releases. They are imported, three-ply, anti-static, premium sleeves (similar to rice paper) and work with both LPs and laser discs. Back construction consists of a paper layer sandwiched between two sheets of high-density polyethylene (HDPE) with a translucent HDPE front. These custom-designed inner sleeves protect against all common problems associated with regular sleeves of all types, such as scratching, static build-up and contamination etc. Your records are irreplaceable, these sleeves will guarantee they last a lifetime. 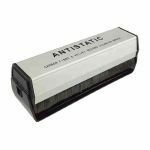 Notes: Keep your vinyl collection in pristine condition with this specially designed antistatic brush. Designed to clear the fine grooves of dust & fluff without damaging the delicate playing surfaces, an essential requirement for maintaining optimum reproduction quality. Notes: With the Spin-Cleanr MKII standard unit and included accessories, you're ready to begin removing the grime from your grooves. Whilst there are cheaper record cleaning brushes available on the market, the Spin Clean Record Washer system is by far the best in terms of removing dust, fingerprints and static from your LP records. The kit comprises fluid bath, a 4oz bottle of cleaning fluid, lint-free drying cloths, 1 pair of brushes, 1 pair of rollers and an instruction manual. Spin Clean Record Washer System Mk II achieves amazingly effective cleaning power of records due to the special cleaning fluid that grabs hold of the dirt and makes it sink to the botton of the fluid tank, ensuring that your records remain uncontaminated during the cleaning process. Both sides of the record are sleaned at the same time by the Spin Clean Record Washer System Mk II. The cleaning process is as follows: fill the bath with cleaning fluid, Spin the record three times, then dry off the record with the lint free cloths. Simple and effective. There are no power requirements for the Spin Clean Record Washer System Mk II. Notes: Inner sleeve for 12" vinyl records. Notes: This 28.5cm x 21cm anti-static record cleaning cloth is ideal for taking care of your record collection. Notes: The Acc Sees Antistatic Record Cleaning Fluid & Cloth includes specially formulated non-abarsive cleaning fluid & microfibre cloth for removing dust, dirt & fingermarks from the playing surfaces of vinyl discs. Notes: Drain the static charge from your records and lift any residual dust and grime with the anti-static vinyl brush. The conductivity of the brush's carbon fibre bristles eliminates static charges while gently and efficiently removing the dust, grit and particles that bung up your vinyl's grooves and degrade your record's sound. The conductive carbon fibres reach deep into the grooves of your vinyl to remove even the smallest particles, leaving your records clean while prolonging the life of vinyl and stylus. Notes: The 12" white paper record sleeve is made in very strong record industry standard white paper complete with the centre holes. Notes: The club environment can be harsh, with smoke, dust and sticky liquids being daily hazards for DJs and club owners to keep in check. Notes: The CC-1 is Numark's most versatile cartridge and the Scratch Perverts Signature model. The Scratch Perverts are widely regarded as the finest turntablists in the world. They hold the 1999 DMC World Mixing Championship title and they share the 2001 DMC World Team Championship title with the Allies. The CC-1 offers the ideal combination of high output and superior tracking for performance worthy of DMC champions. Notes: Practical care set for basic cleaning. Lasting antistatic effect with Disco-antistat mixture, a special self-acting liquid that removes dust, dirt and dried liquids groove-deep and without residue. Notes: A stylus that meets the high demands of DJs. The special heavy-duty suspension of the headshell and the spherical diamond guarantee reliable tracking. An integrated weight ring creates heaviness thus allowing high bearing strength. The design allows easy installation on all drives with SME-Disco Connection: Tighten the plug in screw cap on the tone arm, adjust contact pressure and even the professional record no bounds are set. Notes: The Goldring philosophy is to promote the accurate reproduction of the original recording, maintaining the creative nuances, musicality and rhythm the artist intended you to hear. The E Series is designed to capture this experience when used with all medium to high mass tonearms found on the majority of budget to medium priced turntables. This is achieved through the use of Magnetic Duplex Technology and Goldring Expert Adjustment. 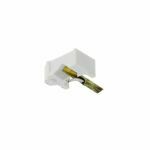 The E3 cartridge, the highest in the range features the same aluminium cantilever as the E2, but benefits from a superior bonded, super-elliptical (0.3 x 0.7 mil) stylus. This gives it superior high frequency groove detail retrieval ability over ordinary elliptical (0.4 x 0.7 mil) or spherical (0.6 mil) styli due to its smaller front to back radius. Its main effect is the reduction of sibilance, especially in high level vocal recordings. All cartridges in the range feature Magnetic Duplex Technology - a 'dual magnet' generator assembly which more accurately traces the record groove providing better stereo separation and a more involving and musical sound stage. 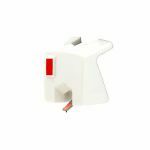 Featuring spherical styli with a choice of cantilevers, the E1 and E2 models are ideal as an upgrade to any budget, pre-fitted or obsolete cartridge. The E3 model with its refined super elliptical stylus is a worthwhile upgrade for those wishing to squeeze even more information and detail from the record groove. Notes: The high quality record sleeve is complete with centre holes, with 5mm spine which allows the use of paper inner sleeve. Notes: This brush is manufactured is made of ultra-fine pile very high quality velvet, specially selected for this purpose. The velvet reaches deep into the record grooves and removes even the finest dust particles. The brush itself can be easily cleaned using the two foam rubber scrapers located on both sides of the plastic brush base. Notes: Shure Sound Isolating earphones were originally developed as personal monitor systems to allow musicians to hear their own performance in loud onstage environments. They work using soft and flexible sleeves to block up to 90 of the background noise. You can concentrate on your music, whether you are on-stage, in a train, on the street or working out. At the same time you can reduce the audio level to conserve your hearing. The SE215 is the entry to Shure SE earphones. 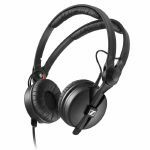 It features a dynamic driver for detailed and warm sound with improved bass. It also features a durable Kevlarr reinforced cable that allows easy replacement or customisation. The formable wire ensures secure placement and the over ear configuration keeps cables out of the way. The gold plated MMCX connector has a lock-snap mechanism allowing 360 degree rotation for comfortable fit. 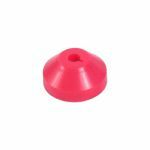 Furthermore, because every ear is different, the fit kit includes an assortment of foam and silicone sleeves in different sizes. Experiment with the size and style that creates the best fit for you. A good seal is key to optimizing sound isolation and bass response as well as maximizing comfort during extended wear. Notes: Safely remove debris from your vinyl. 100& re-useable and liquid free. Easy to use, lightweight and great for travel. Notes: 12.75" x 12.75" Clear polybag with open top & no lip - 3mm thickness. Notes: The 7" white paper record sleeve is made in very strong record industry standard white paper compete with the centre holes. Notes: British hand crafted Mukatsuku Record Messenger Shoulder Bag with branded vintage leather strip and shoulder strap. This sturdy & stylish shoulder bag holds up to 25 x 12 inch records. Comes with additional Mukatsuku goodies of branded leather keyring with brass fob,button badge and sticker ! Notes: High-quality perspex lid, designed to keep any unwanted dirt and dust off your Pro-Ject VC-S. This durable lid is the perfect partner to keep your VC-S in pristine condition. The lid comes supplied with hinges. Notes: The black card high-gloss finish record sleeve has 2 x holes and no spine. It needs no inner sleeve. Notes: The 7" polythene record sleeve is perfect for storing your vinyl in. Notes: This heavy weight record sleeve is made from the highest quality 180 micron very strong PVC. It fits over your records in its sleeve. The 12" Orange Peel Finished clear PVC record sleeve comes complete with a thumb cut out at the top for ease of inserting and removing records. It is the highest quality and most robust sleeve you can get. It is ideal for your priceless vinyl to keep them protected. Notes: The Nagaoka MP-110H the successor to the highly acclaimed and classic Nagaoka MP11 phonograph cartridge, the new Nagaoka MP-110 H phonograph cartridge extends and strengthens its predecessor's prowess and talents to a new level of radiance. You'll hear more music, more detail refinement to enjoy and savor. The Nagaoka MP-110 is the cartridge to start with and to keep for a long time. Notes: A stylish, aerodynamic, bullet shaped spindle 45 adapter for all those quick fire DJs.